I'm so excited for Christmas this year even though Blake still doesn't fully understand yet. Children just make Christmas all the more magical and exciting and I'm totally embracing it! 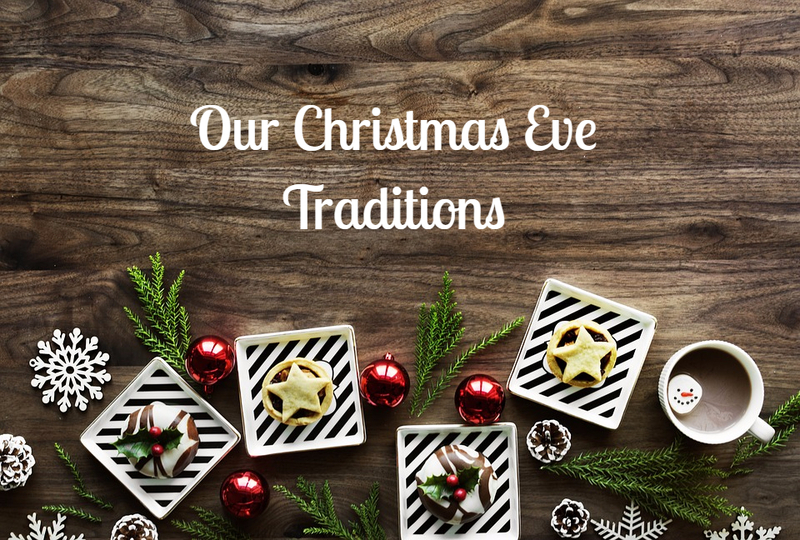 We have quite a few traditions that we love to do in the build up to Christmas and so I wanted to share with you what we in general like to get up to on Christmas Eve. Christmas Eve for us is rather we relaxed we prefer to not go out unless we have forgotten something as we don't want to be stuck in a packed supermarket. Our main tradition we do with Blake is the Christmas Eve basket which I love putting together. Inside there is usually a DVD or an activity that we do with Blake and we just spend most of the day watching a film or something like that. Christmas Eve is usually when my Mum, Nan and sister drop round with the gifts from them. We usually do a buffet in the evening for dinner although this year we plan to have it at lunch time with my Mum and Nan. During the day we let Blake enjoy sweet treats and such like that we include in his basket. Before bed we like to go out the back with the reindeer dust to sprinkle on the little lawn. This is then followed by a bath with a bath bomb we like to include in the Christmas Eve basket. Once done we wrap him up in his Christmas PJs, get the tray out for Santa's drink and mince pie and of course a carrot for the reindeer. It's then into bed where we read the book we read every year "The night before Christmas". 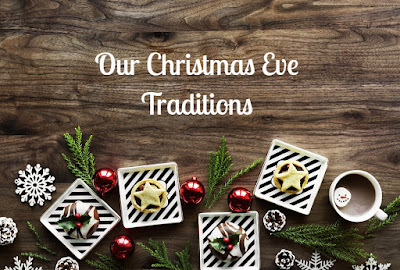 I'd love to know your Christmas Eve Traditions. I love your idea of a Christmas Eve basket...you've picked some fab stuff to go in it. Our usual Christmas Eve tradition is to just put a carrot out for the reindeer and a mince pie & milk out for santa, but we want to start doing Christmas Eve baskets/boxes.